Anitha R. Reddy, DMD, is a highly skilled dentist with Creative Dentistry of Atlanta. She specializes in general and cosmetic dentistry, faithfully serving patients at the welcoming offices in Atlanta and Covington, Georgia. In 2002, she received her Doctor of Medicine in Dentistry (DMD) degree from the University of Pittsburgh’s School of Dental Medicine. 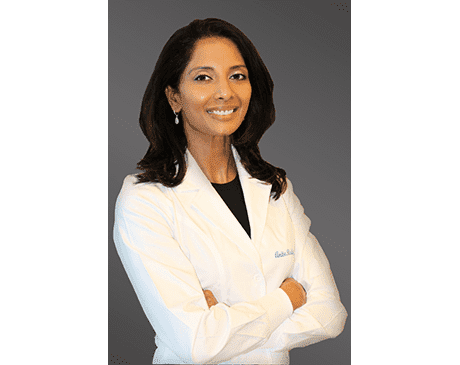 Dr. Reddy continues to further her education by attending more than 100 hours of continuing education course every year at world-renowned institutions, including the Las Vegas Institute for Neuromuscular Dentistry, the Scottsdale Center for Dentistry, and the Pankey Institute for Advanced Dental Education. Dr. Reddy is passionate about dentistry and developing close personal relationships with her patients. She takes great pride in helping patients young and old define and achieve clear-cut goals for lifelong dental health. Patients appreciate her dedication to staying current with the ever-changing technology of dentistry and providing innovative services, such as single visit crowns with CEREC®. She also uses soft laser dentistry for minimal hassle gum surgeries. Dr. Reddy is a certified provider of Invisalign®, the invisible way to straighten teeth, and a preferred provider for adult short-term orthodontics, such as Six Month Smiles®. She is a member of the Academy of General Dentistry (AGD), American Academy of Cosmetic Dentistry (AACD), and the American Dental Association (ADA). In her spare time, Dr. Reddy enjoys spending time with her family and traveling around the world. However, her greatest joy is improving the overall quality of life of her patients.